We cannot show each custom leather product with all badges. 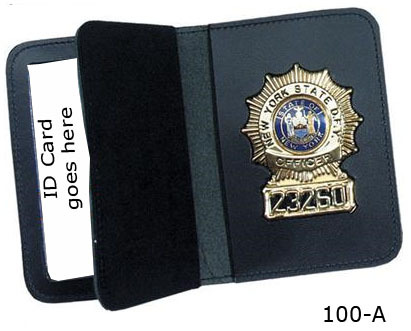 The badges shown in the pictures are for example only. 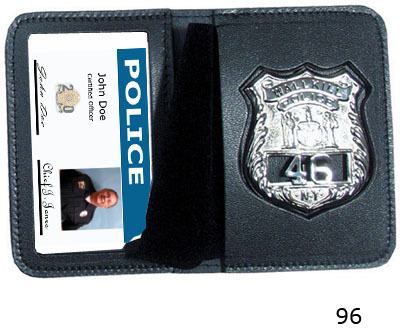 These are produced with the recessed cut for the badge you order or indicate. 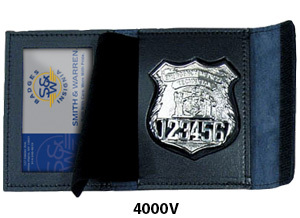 These top opening "notepad" style cases are custom cut to fit your Smith & Warren badge. The cases are made from top grain leather with rounded and stitched corners for maximum durability. 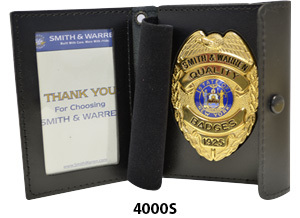 These duty leather double ID Cases are custom cut to fit your Smith & Warren badge. The cases are made from Top Grain Leather with rounded and stiched corners for maximum durability. 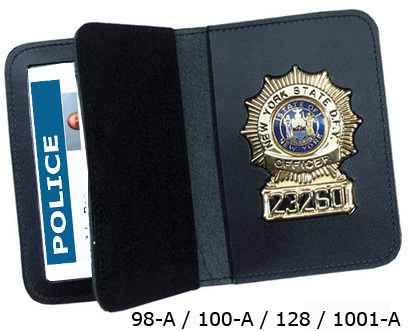 The case opens up like a book, first exposing your two credentials and then showing your badge. 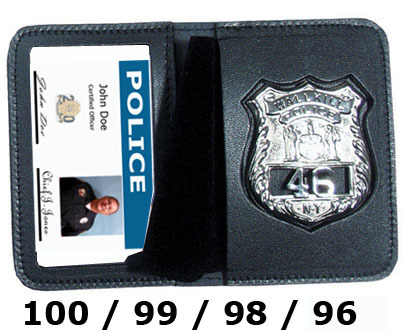 These duty leather book style single ID cases are custom cut to fit your Smith & Warren badge. These cases are made from Top Grain Leather with rounded and stitched corners for maximum durability. Unique feature of these cases are the snap closure. 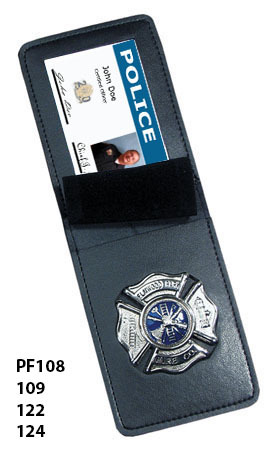 These duty leather book style single ID cases are custom cut to fit your Smith & Warren badge. These cases are made from Top Grain Leather with rounded and stitched corners for maximum durability. Unique feature of these cases are the velcro closure.